From before biblical, to the days of digital, mankind has fretted about the future. The seemingly simple, yet infinitely cryptic question of “What comes next?” perplexes prophets and economists alike. While the hockey world isn’t immune from wondering what’s to come, puck prophecies don’t usually run rampant until the NHL playoff picture begins to come into play in mid-March. March is still months away, but that’s not too early for this Pittsburgh Penguins puck pundit to make a playoff prediction. No, I don’t have a crystal ball, and I don’t need the blood of your firstborn. Hell, I won’t even ask for a credit card number! Because, it doesn’t take the gift of sight to see that through special-teams, superstars, magnificent management, and a little bit of luck, the Pittsburgh Penguins will most assuredly make the 2018 Stanley Cup Playoffs! Although at time of publication, the Pittsburgh Penguins sit precariously perched on the precipice of the Eastern Conference’s final wildcard spot, don’t let the numbers fool you. The Penguins are rolling. They’ve won four of their last five games, in which Pittsburgh captain Sidney Crosby has tallied 13 points (three goals, 10 assists), and Penguins hockey history has perpetually proven that when “Sid the Kid” catches fire, the Penguins are too hot to handle for the rest of the NHL. If Sidney Crosby’s impressive and consistent point production continues, it’s likely only a matter of time until the other half of Penguins famed and feared two-headed monster awakens from his mid-season slumber. We’re of course talking about Evgeni Malkin, a dazzling and dynamic offense threat, whom if it wasn’t for an entire career spent in Crosby’s impossibly widespread shadow, would undoubtedly be a number-one center and franchise cornerstone on any other team in the league. Having two superstar, future Hall of Fame centers, both signed to long-term contracts that will likely last the length of their careers, is a problem that most NHL teams would kill to have. 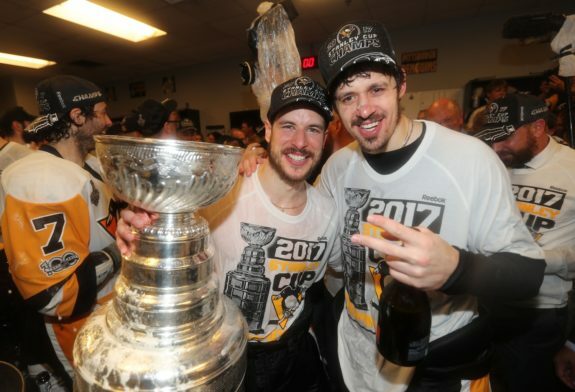 However, for the Pittsburgh Penguins, the two-headed monster of Sidney Crosby and Evgeni Malkin is very much a reality, realized largely by the ingenious and innovative management that has propelled the Penguins from pre-lockout, losing-record, laughing stocks, with shoulders burdened by the crushing weight of former Lemieux and Jagr glory, to the seemingly unbeatable back-to-back Stanley Cup champions they are today. It is this aforementioned management, spearheaded by Super Mario himself, along with the brilliant hockey mind of general manager Jim Rutherford that will keep the Pittsburgh Penguins in the playoffs this year, and for many years to come. It’s not solely superstars, management, or money that keeps the Penguins perennially in the playoff picture – it’s the unwavering willingness of the entire organization to embrace and adapt to change that consistently keeps the Pittsburgh Penguins at the pinnacle of NHL success. The Penguins uncanny ability to not only adapt, but to embrace the unknown and unforeseen is an enormous part of what makes the Steel City Soldiers the NHL’s most dangerous team year after year. All the while, it’s becoming increasingly clear that the age-old adage of “if it ain’t broke, don’t fix it,” simply doesn’t apply in Pittsburgh, as the coaching staff is given seemingly free rein by Mario and company to poke and prod with the NHL’s most potent offense. A tried and true line combination suddenly quits producing? Change the line. A coach can’t seem to motivate his players anymore? Change the coach. An existing arena can’t hold all your newfound fans? Build a new arena! It’s been said that “the only constant in life is change.” The Pittsburgh Penguins are believers and abiders of this mentality, as evidenced by their organization-wide commitment to tackling change and overcoming obstacles head-on. 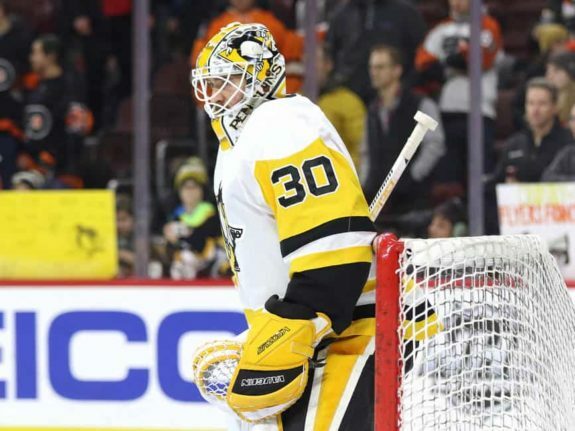 With the sad news breaking today that starting goaltender Matt Murray will miss an undetermined amount of time due to the unfortunate passing of his father, it seems that once again the Penguins be forced to adapt, persevere and play on. As the impending Stanley Cup Playoffs loom ominously on the hockey horizon, the time in the regular season where every win matters more than the last has undoubtedly arrived. And with each passing week, the playoff picture becomes clearer, while players and teams try to push at precisely the right time in the attempts of achieving ultimate NHL infamy, by becoming the celebrated carriers of Lord Stanley’s coveted Cup. Nobody knows what the future holds. There is no truth in crystal balls, nor palms, nor myths, or mystics. We will remain, now and forevermore, fixated on the future. Any attempts to unravel the great mystery of mankind are quite simply shots in the dark. However, history often gives us a glimpse of the glories and/or terrors to come. And if history is indeed an indicator in the world of hockey, the Pittsburgh Penguins won’t just make the playoffs, they’ll be playing well into June.